Deacero is a successful, dynamic and privately-owned company which has achieved its growth by establishing a highly competitive position to satisfy the demands of national and international markets. This aggressive stance has helped them become a major player not only in Mexico, but in 20 countries around the world. State of the art mills and production plants, with technological improvements and integrated production processes, have allowed Deacero to satisfy the continuous demands of the sectors they serve: farm and home, building and construction and the industrial marketplace. 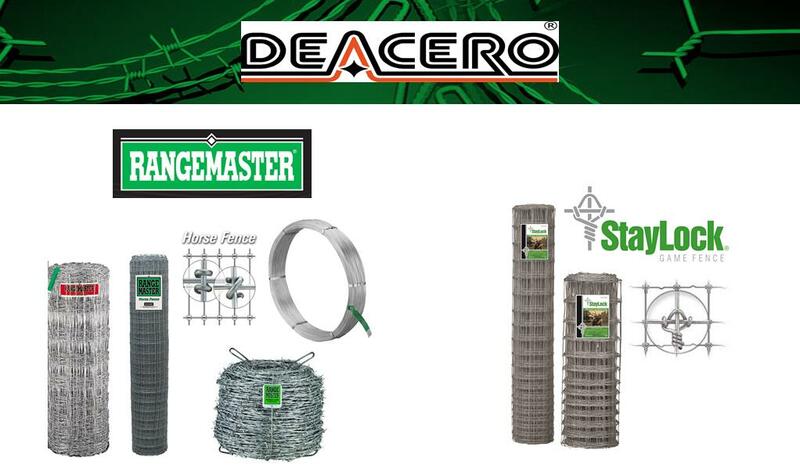 Deacero serves the agricultural industry with an extensive range of wire products: traditional HT Field Fence and Barbed Wires, HT Smooth Electric Fence Wire, StayLock Fixed-Knot Wire products, Horse Fences, Cattle Panels, Poultry Netting, Hog Floats and much, much more. All of these products are manufactured to specifications, most with HD C3 Galvanization.